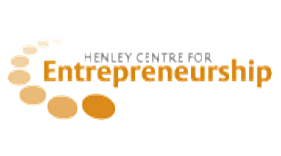 Henley Centre for Entrepreneurship hosted its ninth event in the SME leaders Speakers’ Panel series at Henley Business School on Thursday 10th November 2016. Sponsored and supported by James Cowper Kreston and ESRC, the Speakers’ Panel titled ‘Leadership 4.0: Successful leadership in the fourth industrial revolution’ provided some revealing insights into the changing nature and style of leadership. Over fifty delegates from the SME community attended the event and were welcomed by Prof Andrew Godley, Head of Leadership, Organisations and Behaviour at Henley Business School. Prof Godley described how business and university are working together to better understand leadership and providing insights to help business leaders. This is exemplified by the Digital Leadership Forum /digital-leadership/forum at the Business School. Opening the event Jurek Sikorski, Executive Director at Henley Centre for Entrepreneurship, set the tone for the evening. He highlighted how leadership has changed and where the role has evolved from a business savvy leader exhibiting capabilities such as passion for the customer, strategic thinking and results driven to one that combines these capabilities with technology savviness and a focus on developing a culture of company-wide innovation. Jurek stressed that business savviness is not enough to succeed in the emerging fourth industrial revolution, where cyber and physical systems are converging and technologies like artificial intelligence, machine learning, augmented reality and the Internet of Things (and now the Internet on Things) are changing the business landscape. 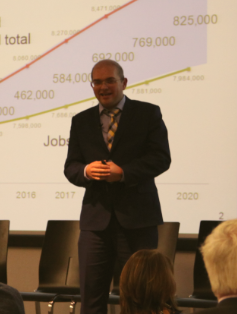 The presentations were opened by Dr Maks Belitski, who highlighted the ever widening digital skills gap and the growing demand for leaders who exhibit IT as well as strategy and business skills, which he called leaders 4.0. Dr Belitski went on to describe the dimensions of leaders 4.0, highlighting the importance of IT to business performance. Dr Belitski said that leaders need to learn the power of digital technology such as cloud computing and showed results of how the investment in cloud technology tools (such as SaaS) can have a significant impact in boosting business performance on multiple metrics including sales growth. Dr Vicky Li continued in the same vein and reminded the audience that new technologies have a huge reach and are being adopted faster, citing Instagram as taking two years to reach 100m users compared to Facebook’s four years and the mobile phone’s 16 years. Dr Li went on to point out that digital is everywhere, citing examples of how the banking sector and automotive industry have changed and in some cases disrupted because of digital technologies. 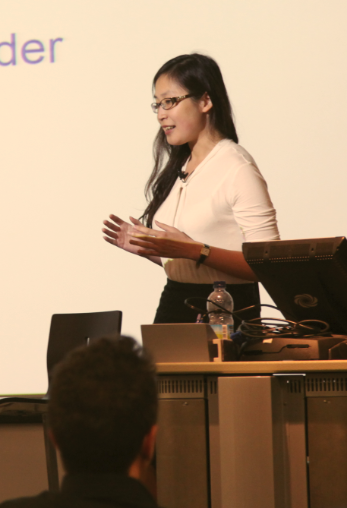 Dr Li reported on the recent Tech Partnership UK survey which showed that 93% of technology companies surveyed believe that the digital skills gap affects their commercial operations and talent acquisition.Dr Li added that 74% of the companies who plan to be a player in IoT believe current skill supply is not on track to meet recruitment demand for IoT related roles. 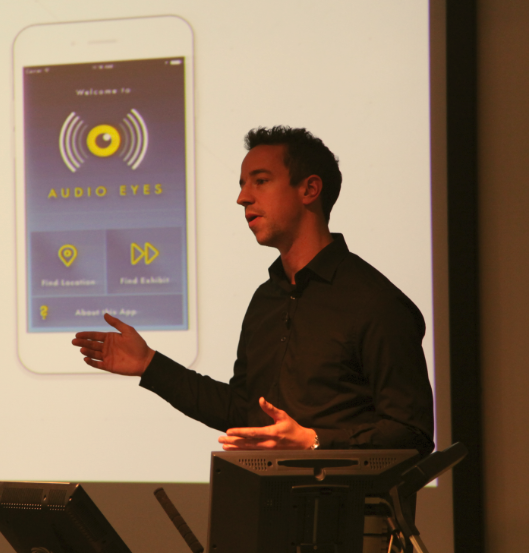 Following Dr Li was Sam Clark, Managing Director of Conjure, a technology business working in the areas of data visualization, connected software and virtualised production. Conjure has also created some ‘cool’ solutions for mobile phones and tablets, cars, TVs and wearables. Sam shared stories of working with likes of McLaren, British Museum and Jaguar Land Rover and emphasised how important it is to connect with and work closely with customers, listening to what they need. Sam impressed with his pitch for the F1 Connectivity Prize, showing some great designs including smart watch alert (all fourth industrial revolution stuff). Sadly Conjure did not win but Sam was positive saying how great a learning experience that was which has led Conjure to win other contracts. What is refreshing about Conjure and what exemplifies Sam’s leadership is that he encourages all employees to tinker, develop and experiment with the latest digital technology tools. This ensures Conjure finds and adopts those that make a difference, allowing Conjure to stay ahead of the curve. Sam added that “all tools used at Conjure are cloud based”. Sam stressed the importance of communication and said “all communications at Conjure are either in person or via call and What’s App… no Slack, no Email”. Speaking next was Claire Edmunds, CEO of Clarify, a business development services provider helping to improve the performance of B2B sales organisations to generate scalable pipelines for complex deals, improve win (conversion) rates and drive profitable growth. Claire spoke of an altogether different business to the high technology of Conjure. Clarify is not a technology business but a professional services company which partners with Enterprise sales teams in some of the largest global technology firms in order to accelerate sales transformation. The sales profession is undergoing an unprecedented period of change and Claire considered the impact that the connected, digital world is having on the sales function. Her business is rapidly expanding to meet the demand from clients who want to work with Clarify to accelerate their ability to capture efficiency and growth opportunities in core and new service offerings. Claire’s interpretation of Leadership 4.0 centred around the need to increase agility and flexibility of enterprises in response to a new set of business rules. 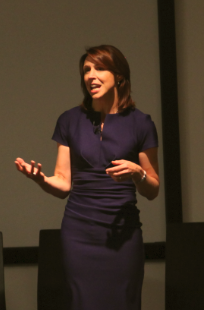 Claire raised what is recognised by many as an important aspect of leadership especially in the new age of rapidly advancing technologies, stating that in the Fourth Revolution we will increasingly need to build flexible, agile leadership and business models. To do this, Claire advocates setting strategic anchors, a clear purpose and values to promote clarity and guide decision-making. This will result in teams that operate with more autonomy, and in doing so can invest in building diverse communities and access different thinking to drive innovation. In a hyper-connected world where the pace of change has now exceeded the pace of learning, stakeholders are everywhere, and everything is ambiguous, chaotic and uncertain. Claire stated that to succeed in the Fourth Revolution business leaders needed to be certain that their businesses are agile and this happens when teams are given an internal compass and a culture is created where they can thrive. Claire was followed by Dr Dan Daly. Dan is Founder and CEO of Lein Applied Diagnostics, a company pioneering the development of measurement devices and solutions for the healthcare and industrial markets using a patented core technology. This technology is based around a scanning confocal system that can make highly precise, non-contact dimensional and structural measurements of organic and man-made materials. Lein is addressing some of the major challenges of the present day. Among these is the diagnosis and monitoring of diabetes, which Lein has demonstrated can be done with non-invasive methods. Dan spoke about traditional leadership and how leadership 4.0 is building on the former and making engagement with all stakeholders at the heart. Dan highlighted ‘partnership’ as crucial and explained that Lein would not exist without ‘partnerships’. Dan presented two new considerations in discussing his view of leadership 4.0: ‘How to use digital to do what we do better?’ and ‘How to use digital to do new things?’ Dan shared an example of how Lein is working to help in the diagnosis of diabetes by enabling for screening of the condition in a high street setting. Without the ability to make distributed measurements and collate vast quantities of data this would not be possible. Dan likened leadership 4.0 to a neural network where all things were connected (unlike leadership 1.0 which was a traditional hierarchy of multiple organizational levels). Dan summarised leadership 4.0 as having requirements very similar to traditional leadership but different in the way that leaders today must appreciate how digital technologies can make existing activities more efficient and also how such technologies can help find new opportunities for a business. 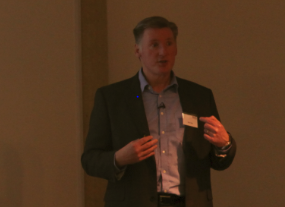 Speaking last was David Taylor, MD of Prodrive Advance Technology. 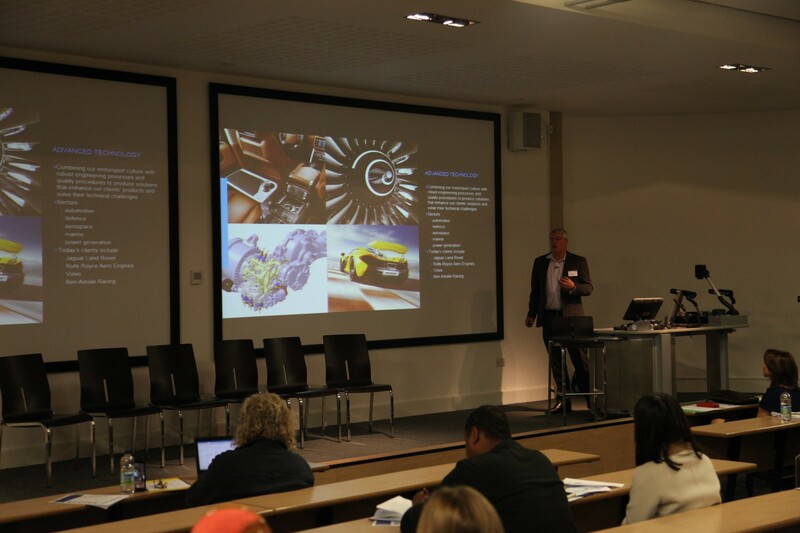 David’s business is part of the Prodrive Group, a British motorsport and engineering company, and he provided some revealing insights into how Prodrive is embracing leadership 4.0. David remarked on several occasions how Prodrive is injecting innovation into its customers’ products and brands, developing technology that has application on the road for automotive manufacturers like JLR and McLaren, in the air for aircraft engines like Boeing and RR and on water for Britain’s Americas Cup Challenge. David drew many insights into how the fourth industrial revolution is ‘changing our playground’ including accelerating the pace of change, access to technology and how the principal organisation is no longer the leader of all of the technologies used in the final product. David echoed the importance of partnerships in today’s business environment and the leaders need to be able to build partnerships. Additionally, David spoke of the global changes that are characterising the fourth industrial revolution and provided examples such as the emergence of new car companies. These new companies are changing the way cars are developed and challenging the traditional manufacturers. Car ownership is also being challenged by Uber and Lyft among others, along with the shift towards the car becoming an extension of the office. David summarised the things that define Prodrive in the fourth industrial revolution, namely living with values, having all staff network and share thoughts and ideas (Prodrive uses Yammer for internal networking and sharing), encouraging innovation, partnering effectively and sharing business ambitions where all staff are looking for opportunities. In many ways David summary captured the insights shared by all the business leaders. The discussion continued as the speakers came on stage to participate in what turned out to be a lively Q&A session, which afforded some great answers to questions and left the audience inspired that leadership is changing, that digital is at the heart of that change and that business leaders need to embrace digital technologies if they are to be successful. The topic of leadership in the fourth industrial revolution is growing ever popular and Henley Centre for Entrepreneurship will be following and hosting events to contribute to the debate. The next Speakers’ Panel is on the topic of ‘Building a Sustainable Competitive Advantage’ and is scheduled on Wednesday 20 February 2017. James Cowper Kreston (JCK) is a leading firm of accountants and business advisers. James Cowper Kreston sets itself apart from the rest of the UK’s top accountants and business advisers through its unique approach of combining professionalism, flexibility and passion. It is a massive supporter of the SME ecosytem in the Thames Valley. Economic & Social Research Council is one of the seven Research Councils in the United Kingdom. 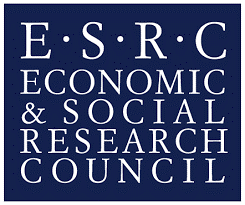 Based in Swindon ESRC is the UK's largest organisation for funding research on economic and social issues. It supports independent, high quality research which has an impact on business, the public sector and civil society. Thames Valley Berkshire Business Growth Hub The Growth Hub offers a new way of working to Berkshire's high growth businesses. Backed by Government it provides a single gateway for ambitious businesses who are seeking the information, guidance, support, expertise, finance, knowledge and experience they need to scale up and grow, boost performance and find new ways of working. For more information please contact Jurek Sikorski by email at jurek.sikorski@henley.ac.uk or by phone on +44 (0)118 378 8188.